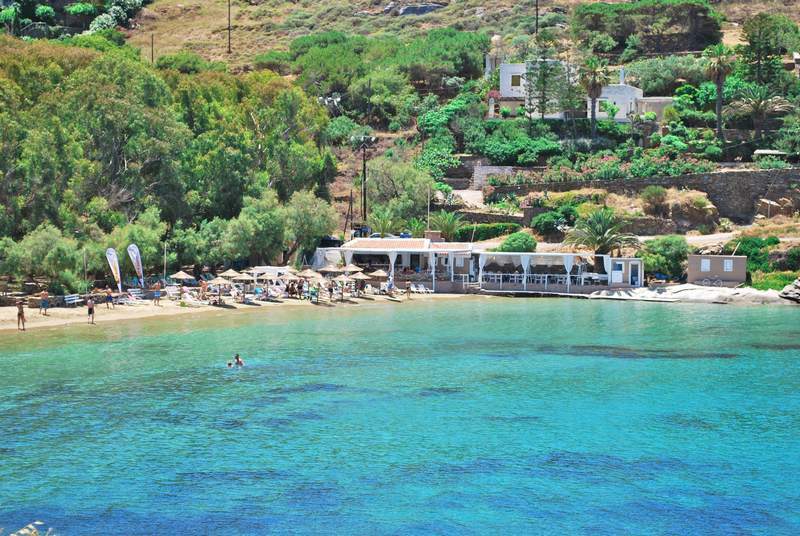 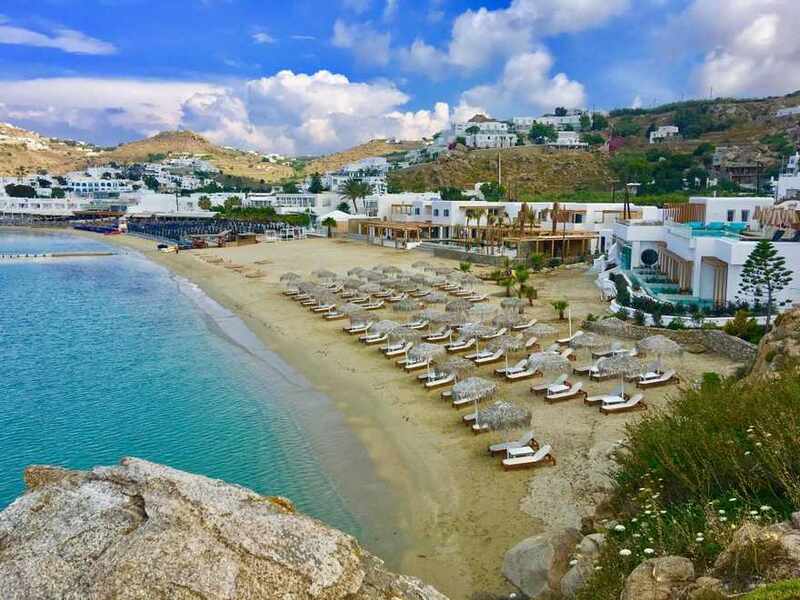 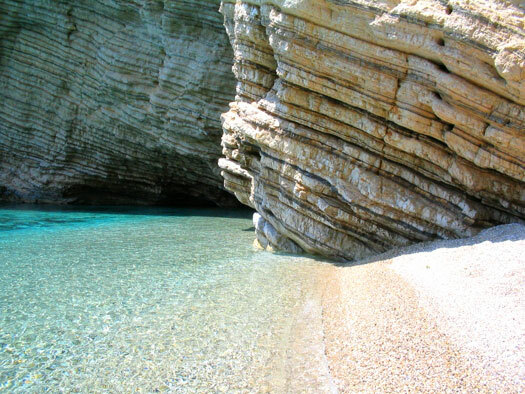 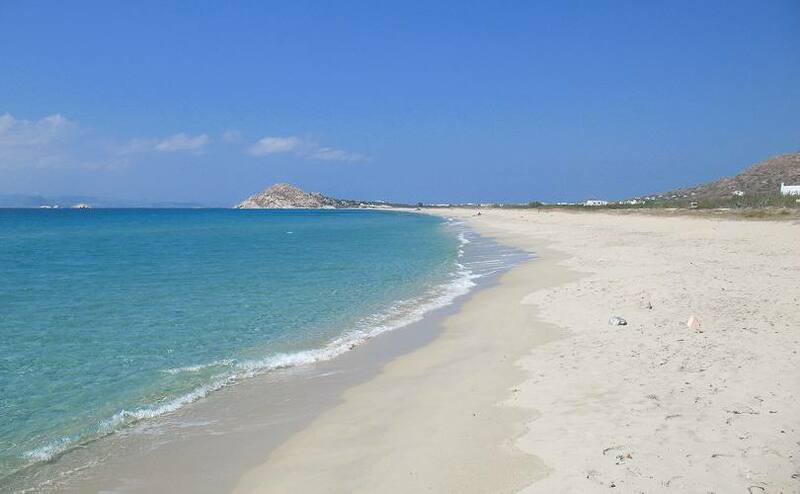 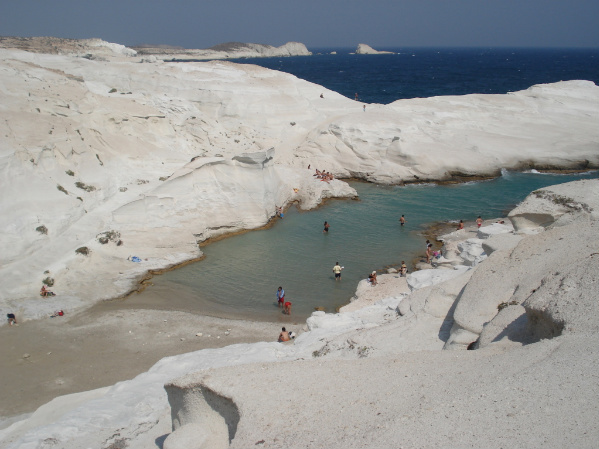 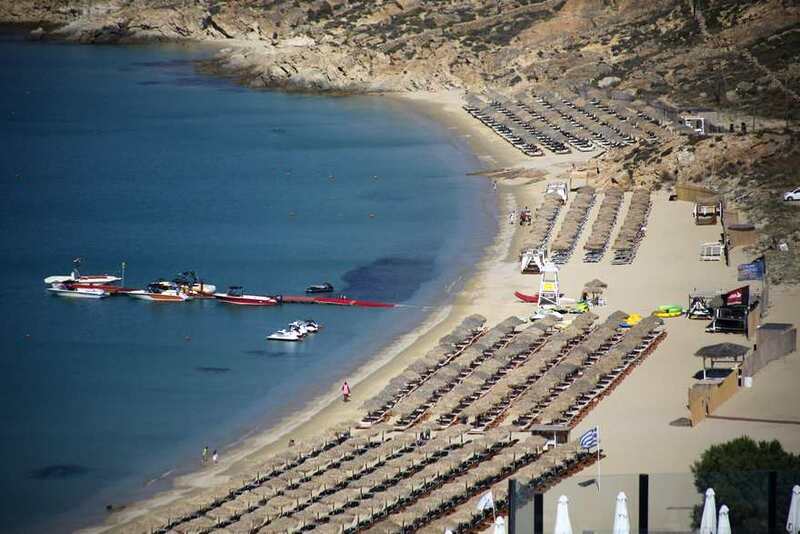 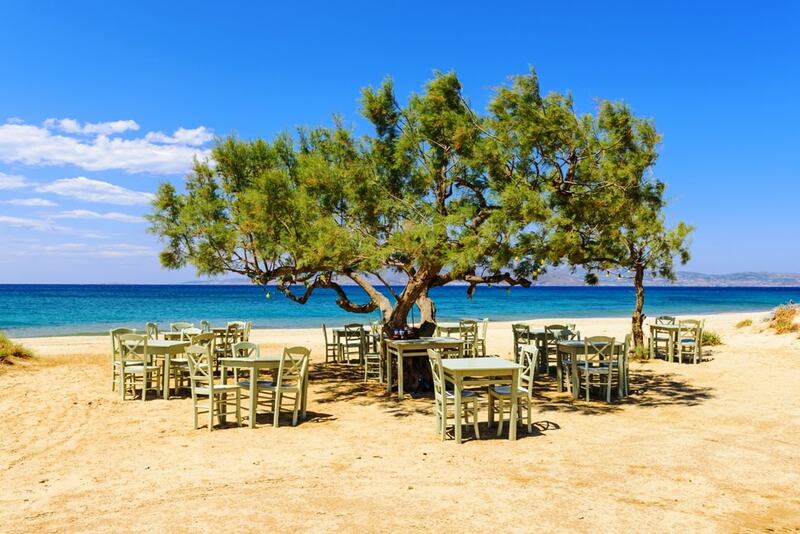 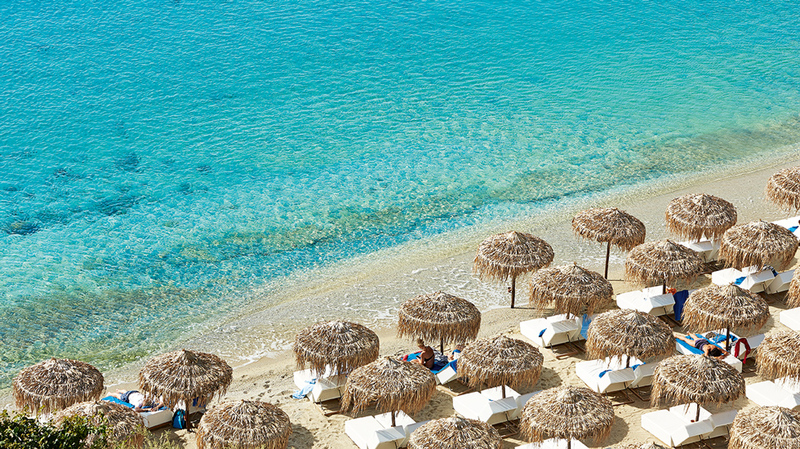 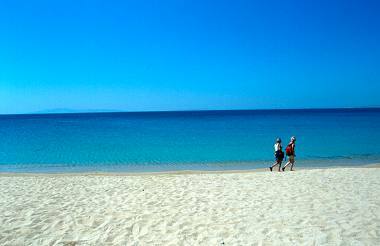 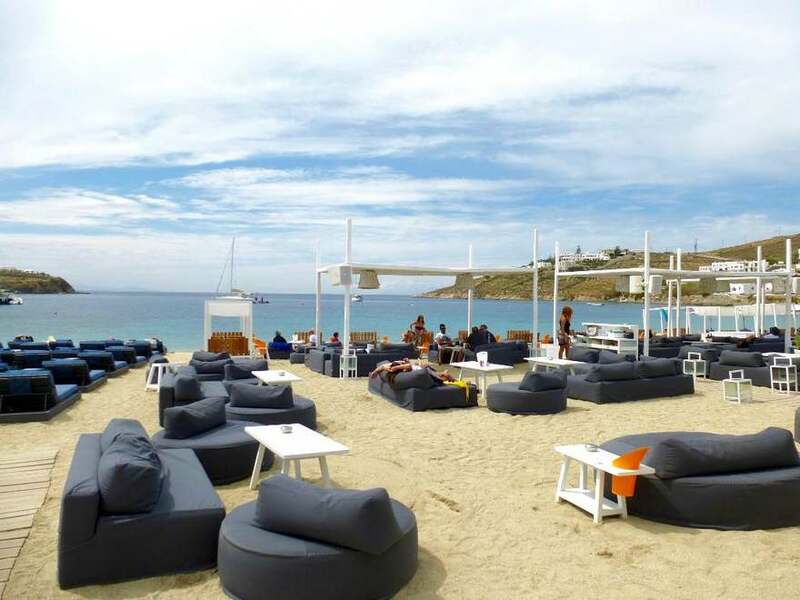 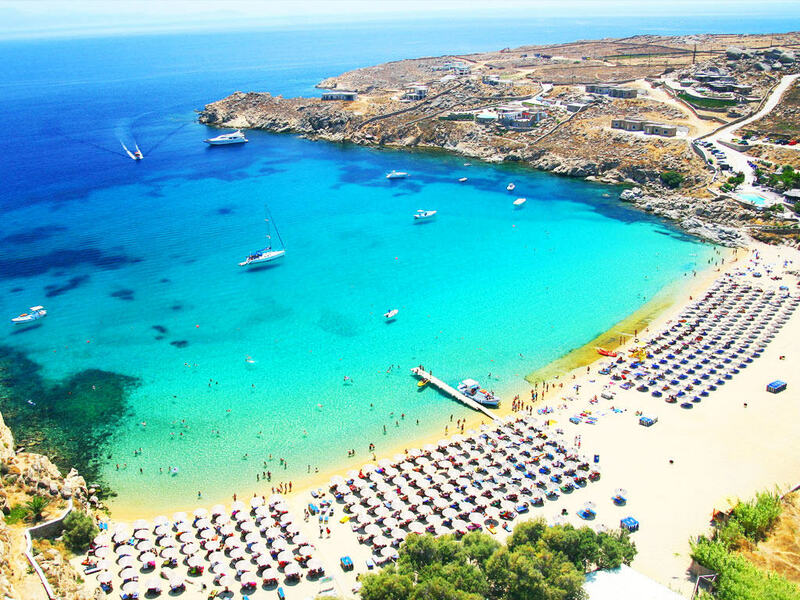 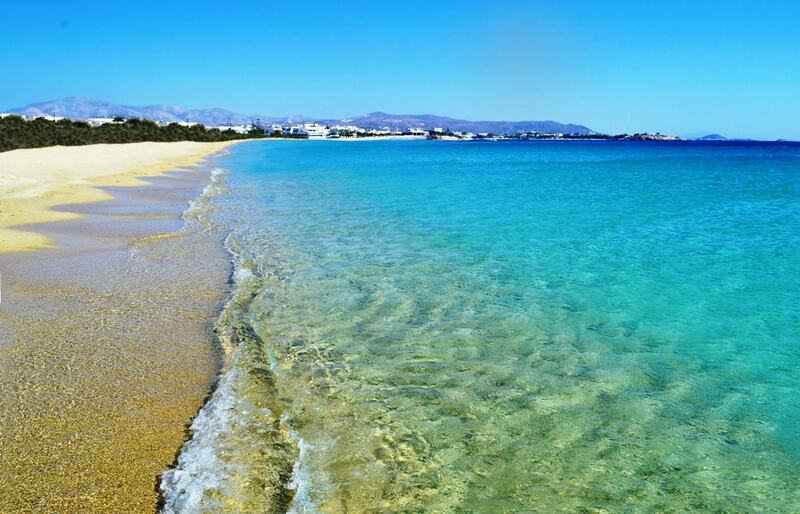 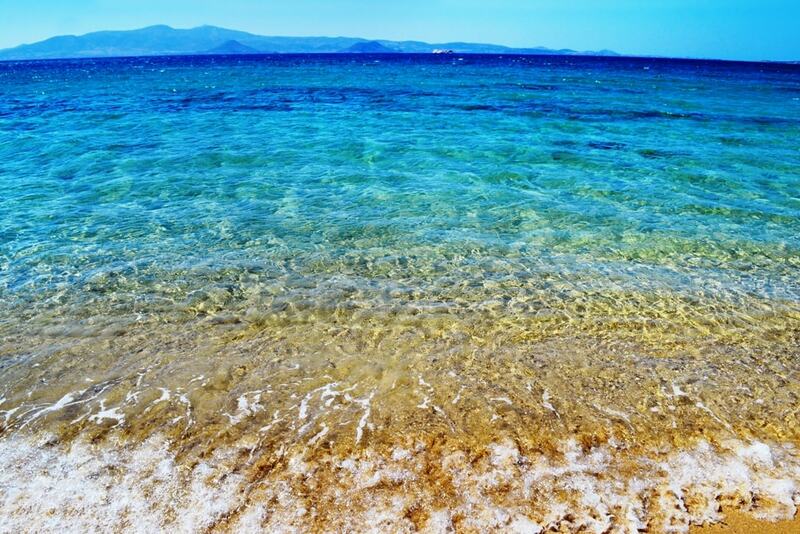 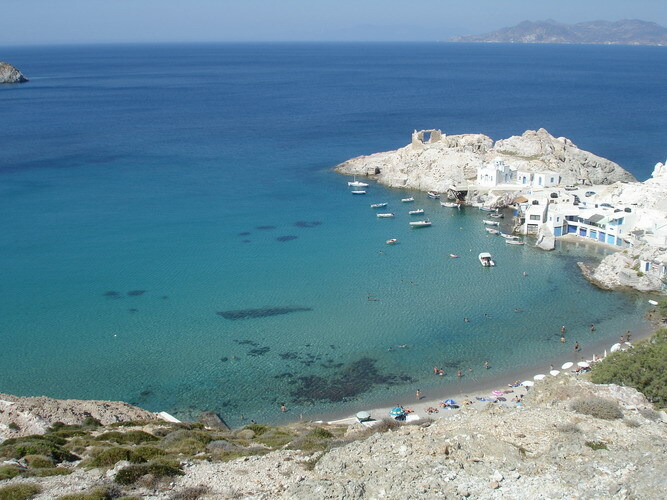 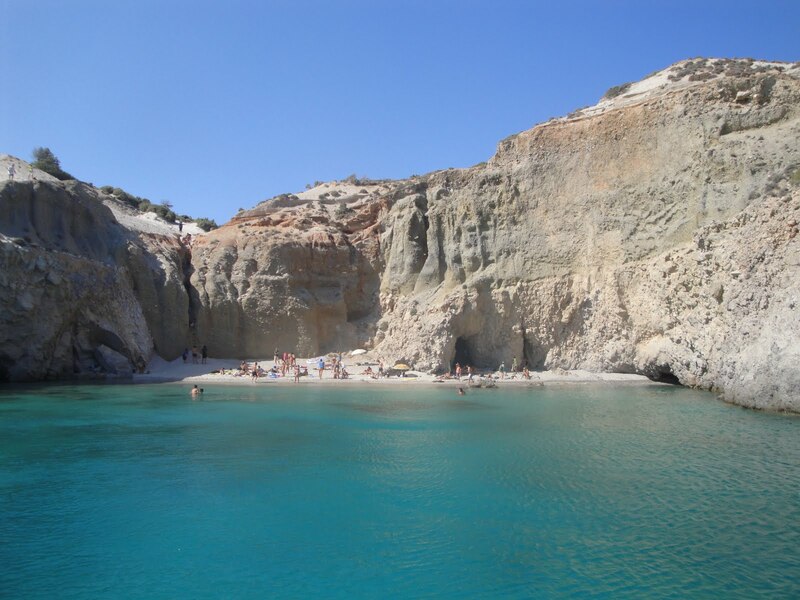 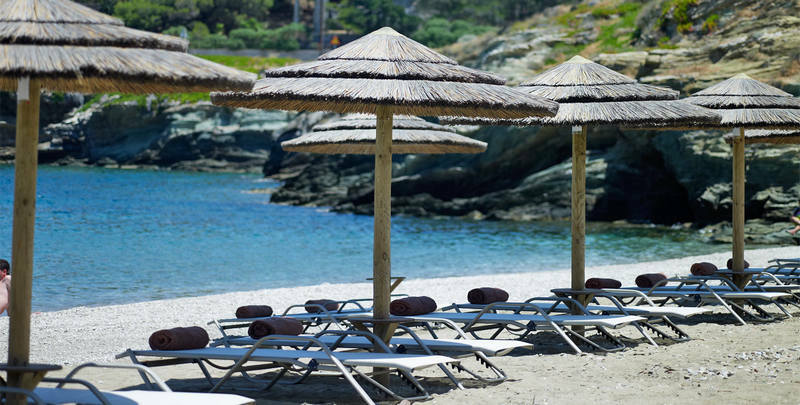 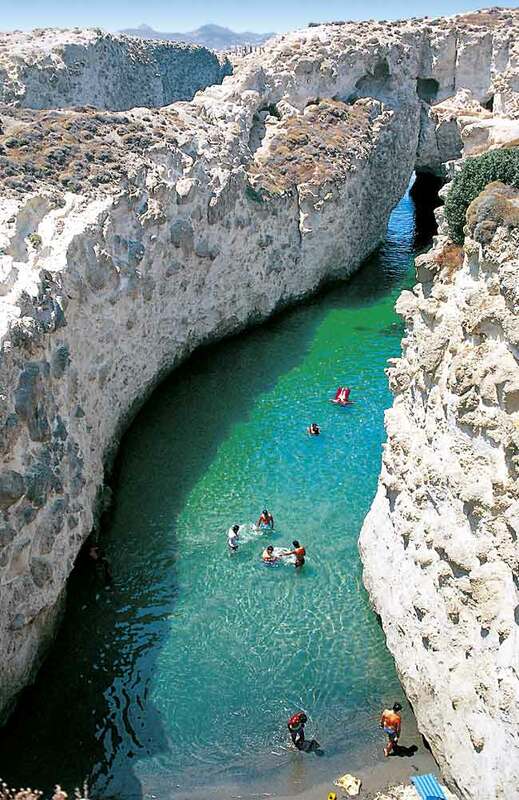 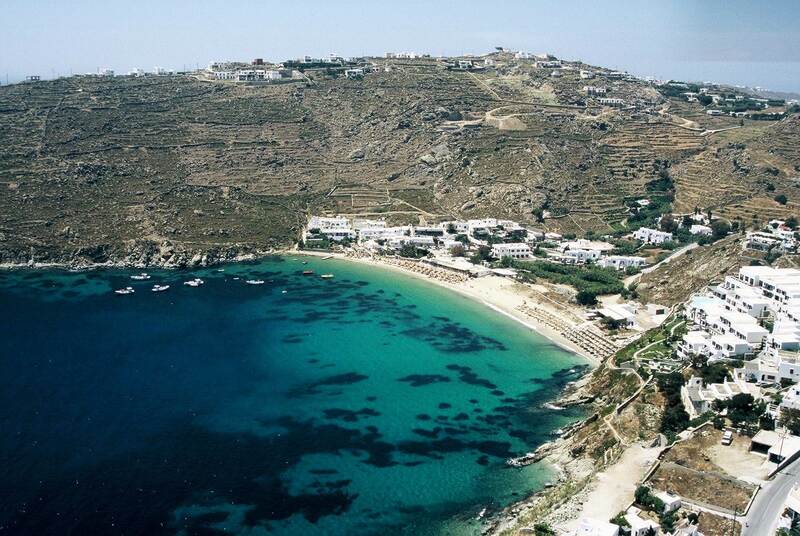 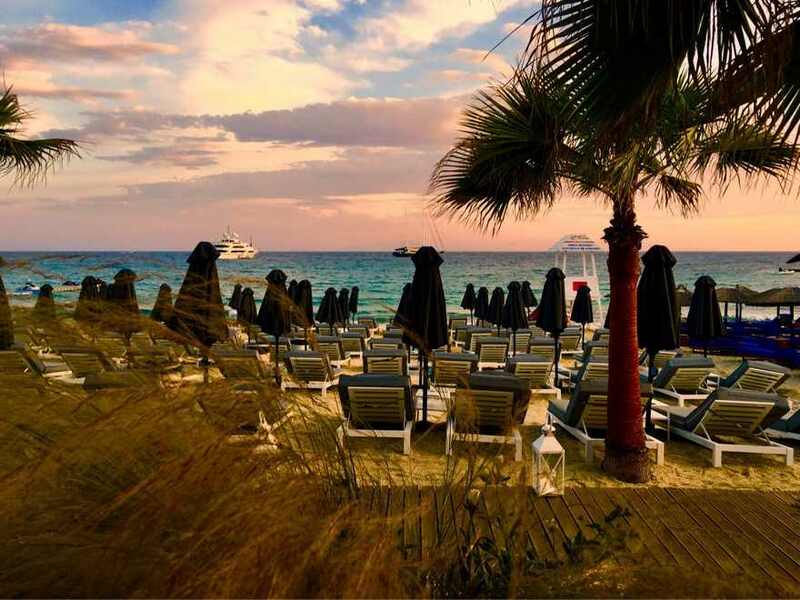 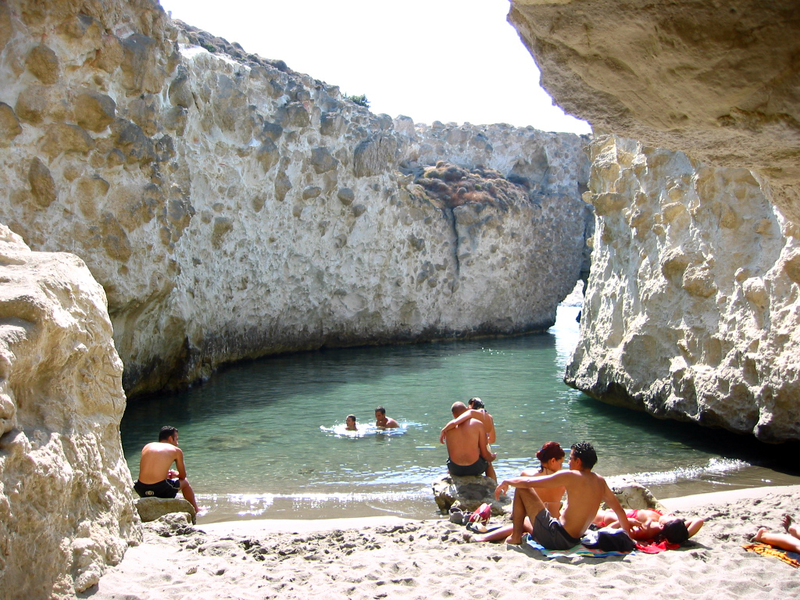 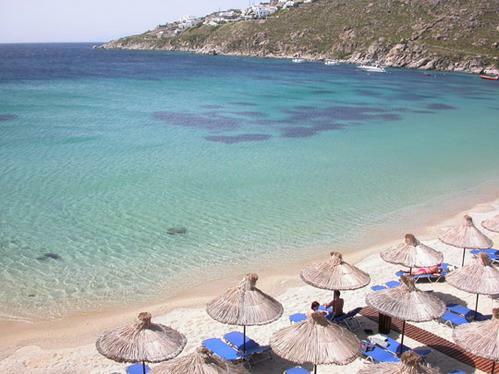 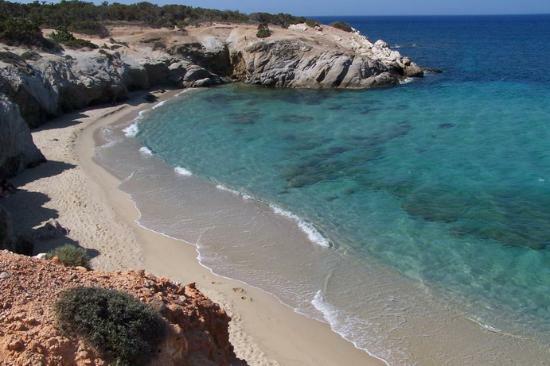 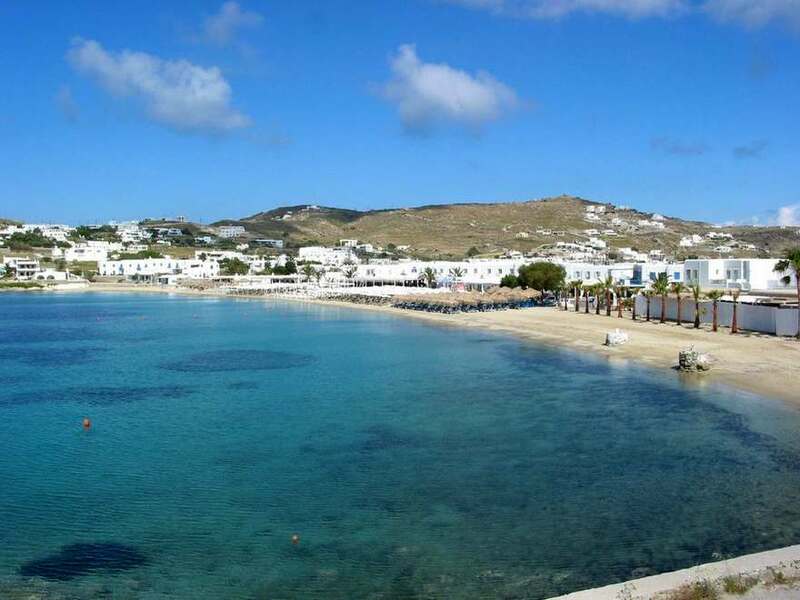 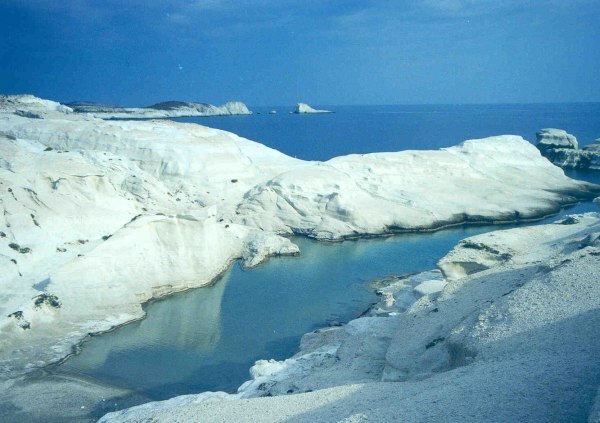 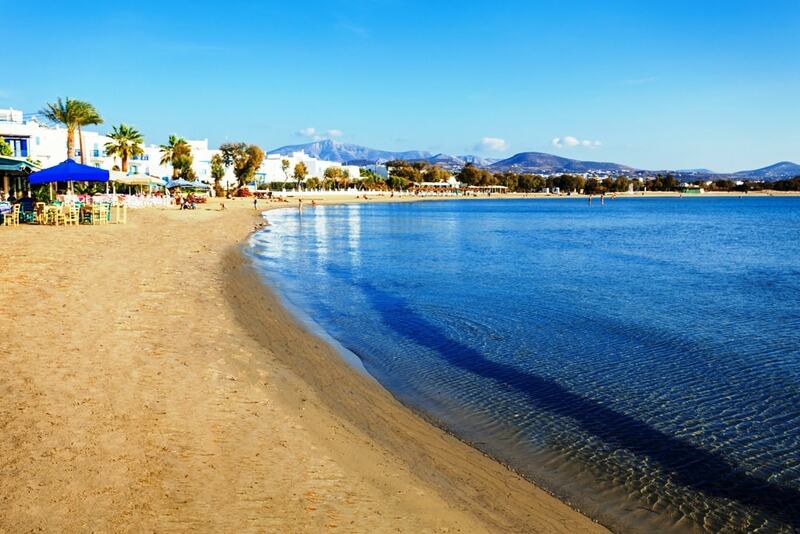 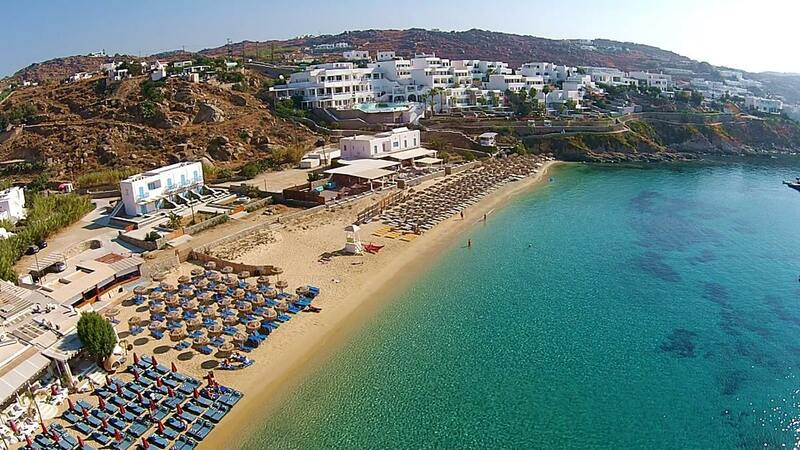 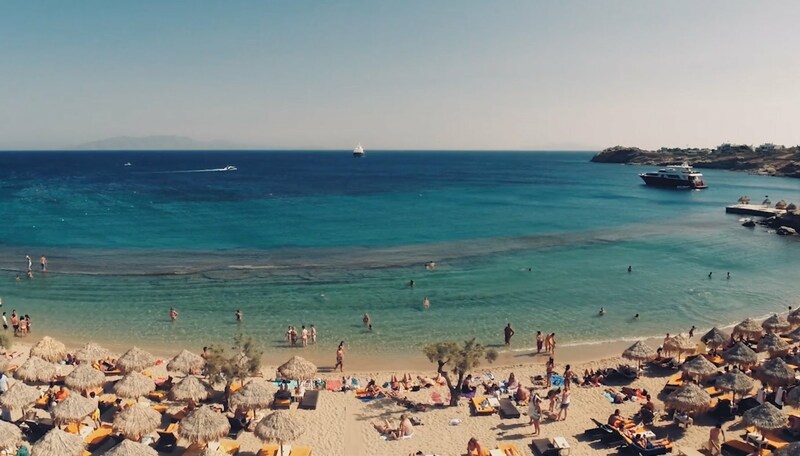 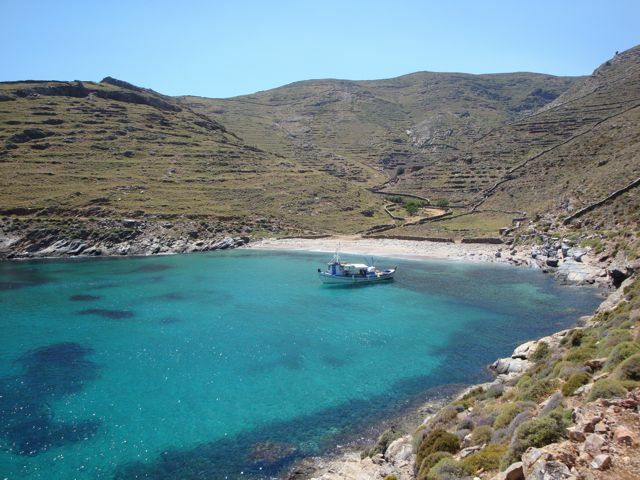 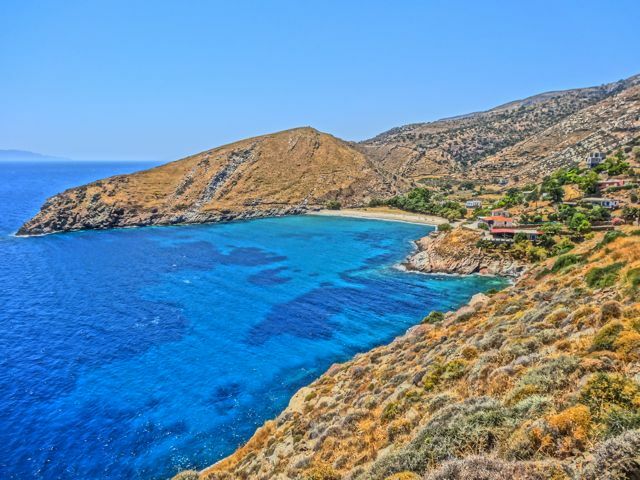 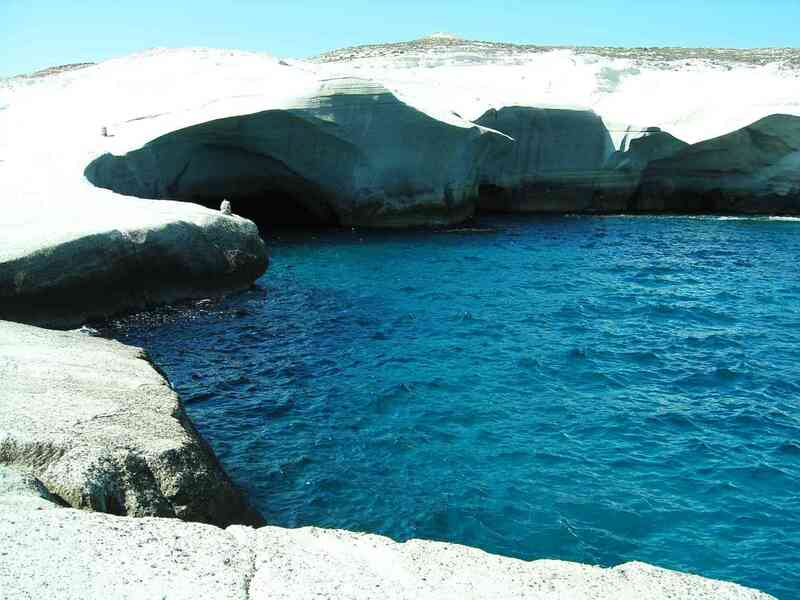 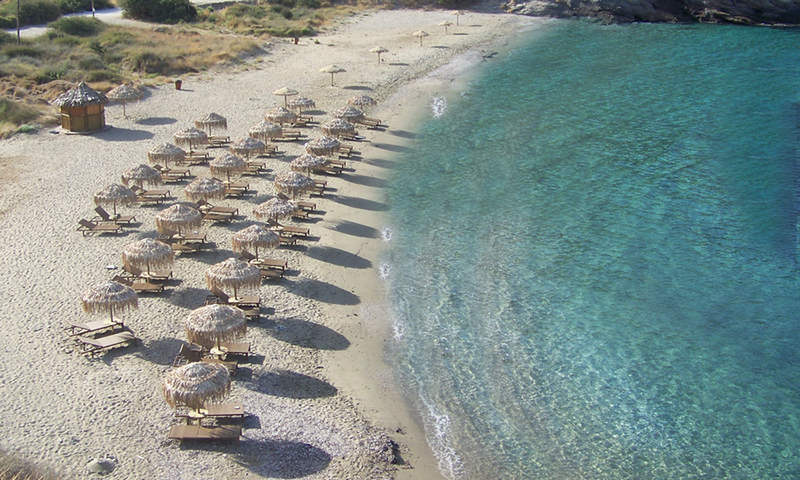 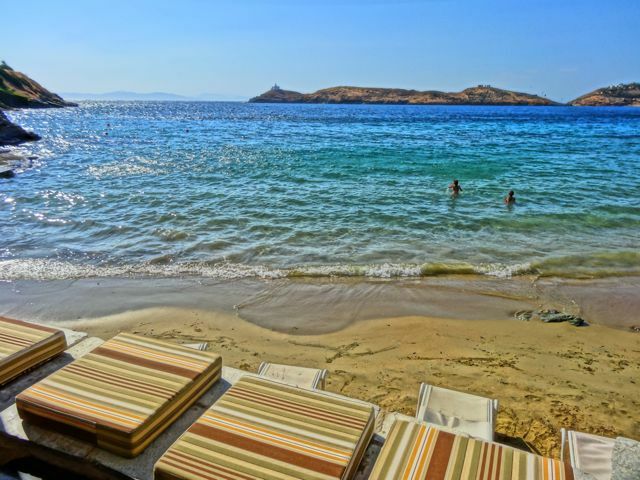 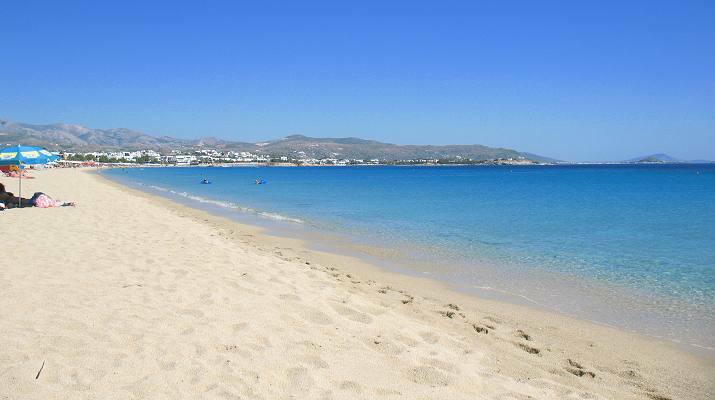 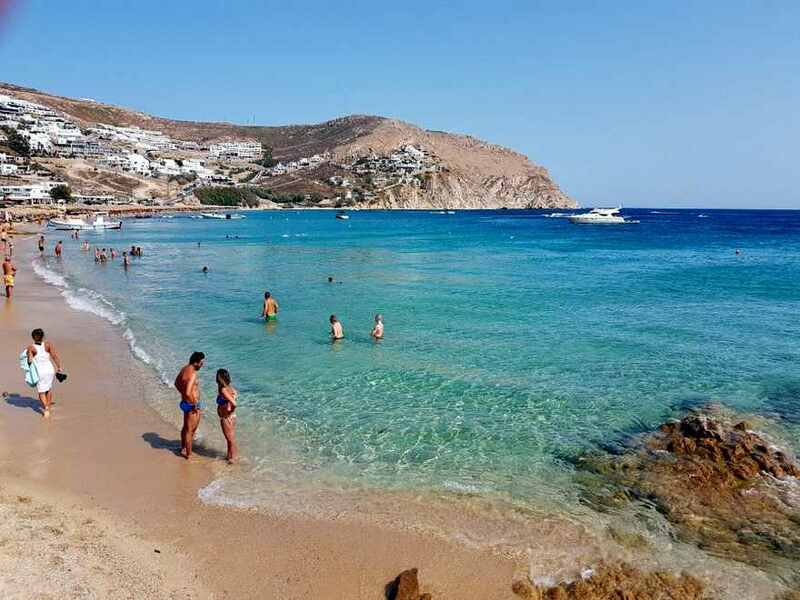 If you are into…skinny dipping, then the Agios Sostis Beach Mykonos is the best beach for you! 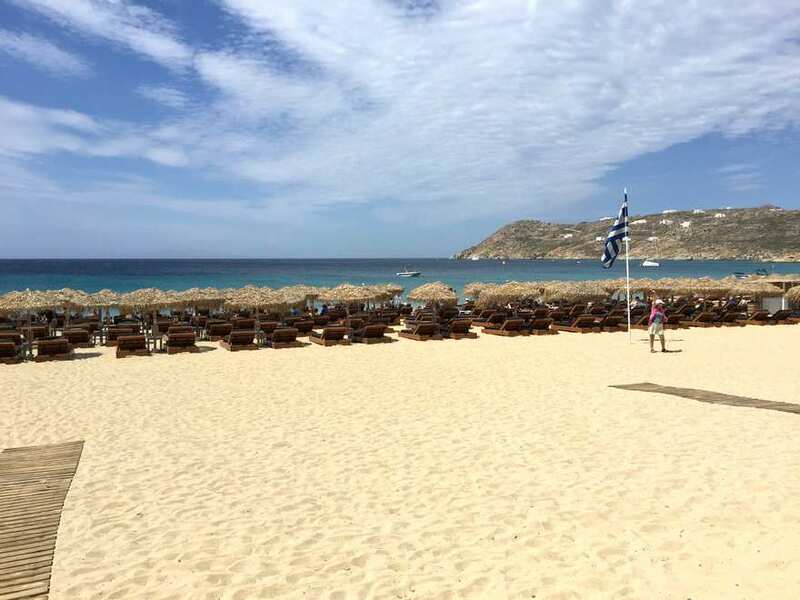 There is also plenty of room to play rackets and beach volley. 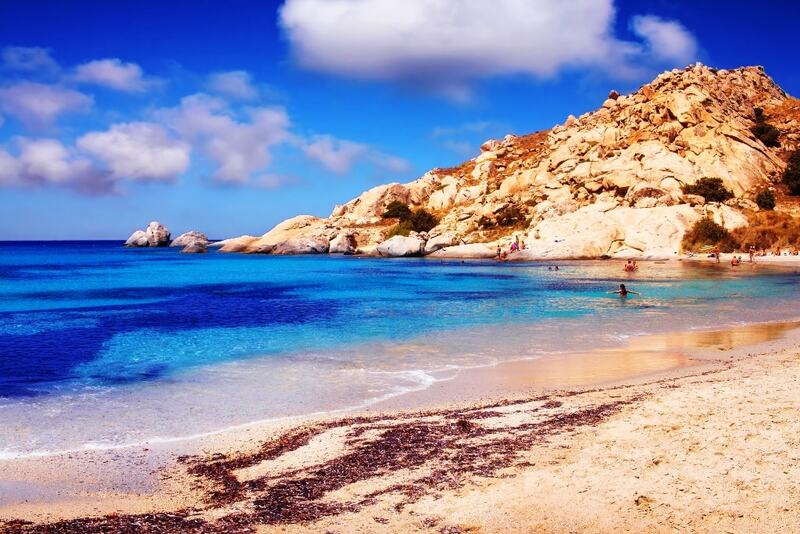 But…do not forget to bring water, snacks and drinks as there is nothing to buy there. 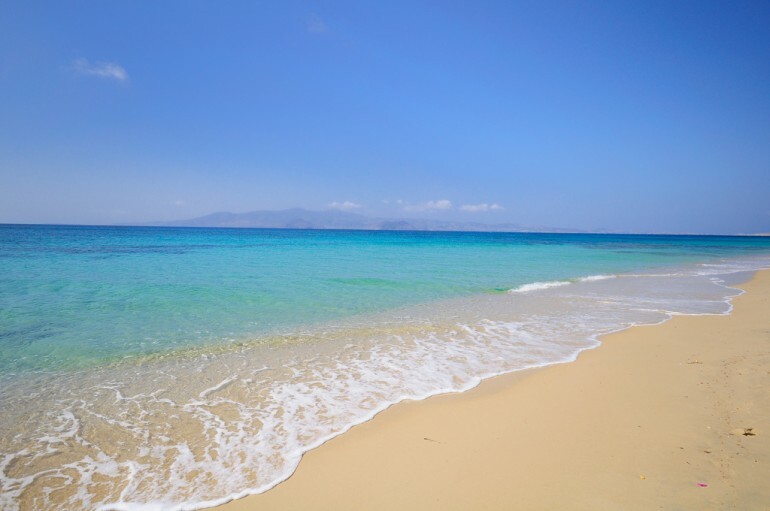 On the other hand if it is too hot you will have to give it a second thought as the parking can be tight and a little far away so you will have to walk 5 to 10 minutes till you actually get to the beach. 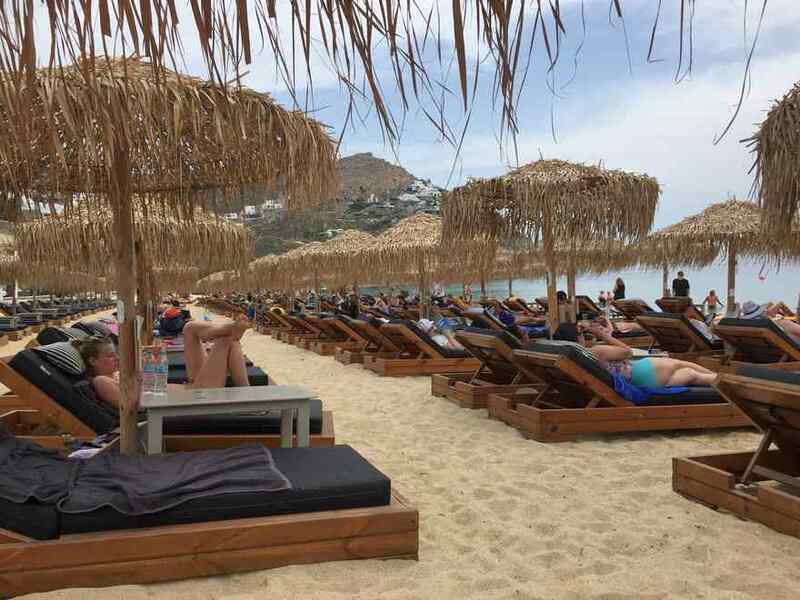 Also, make sure to bring umbrellas with you to protect you from the sun, because in the summer you should expect super hot temperatures (more than 35C during the day) . 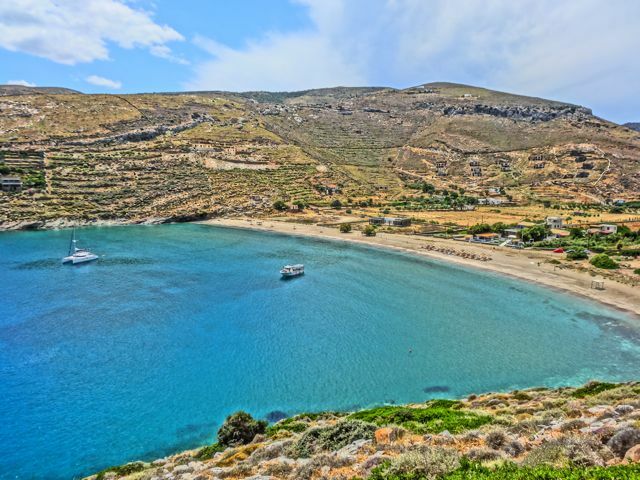 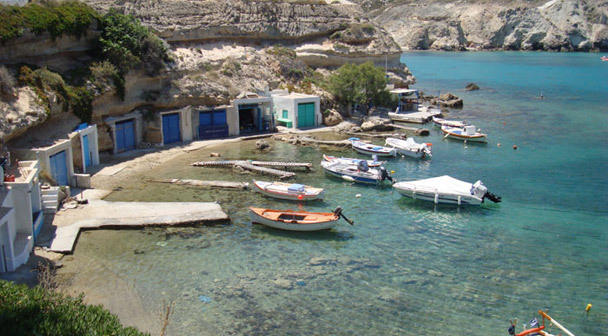 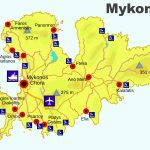 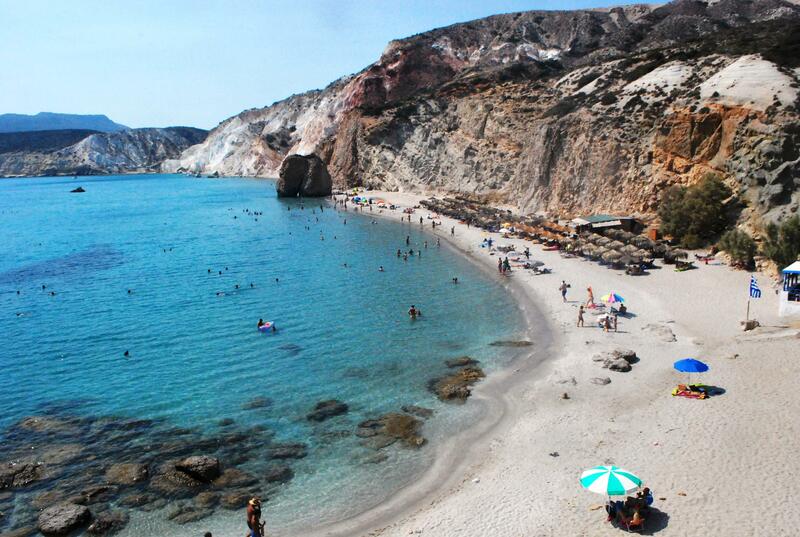 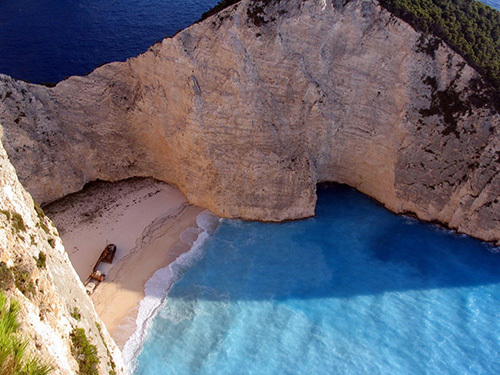 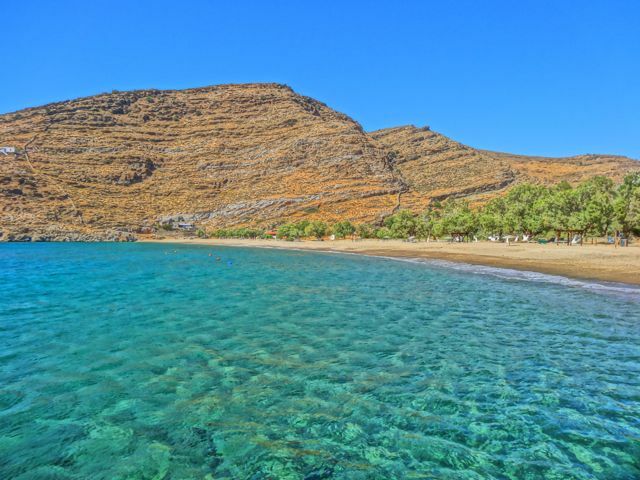 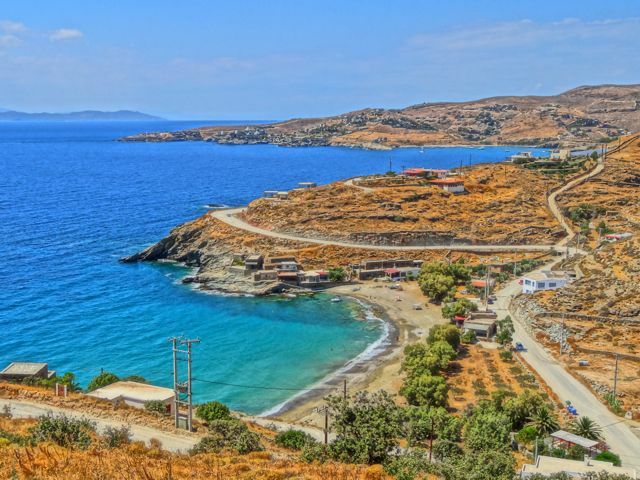 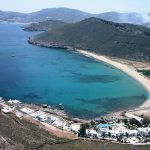 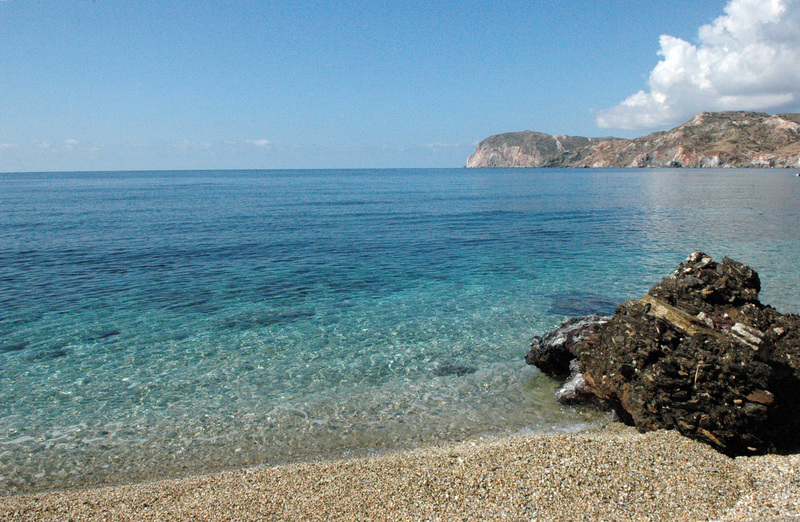 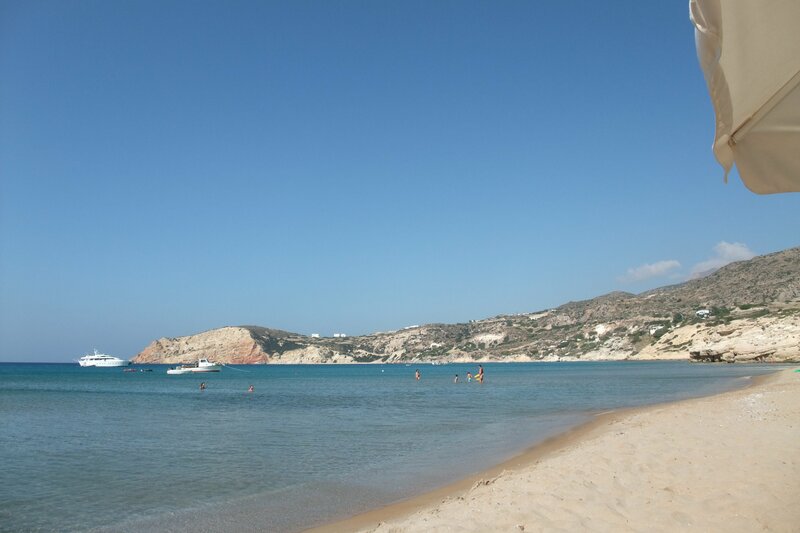 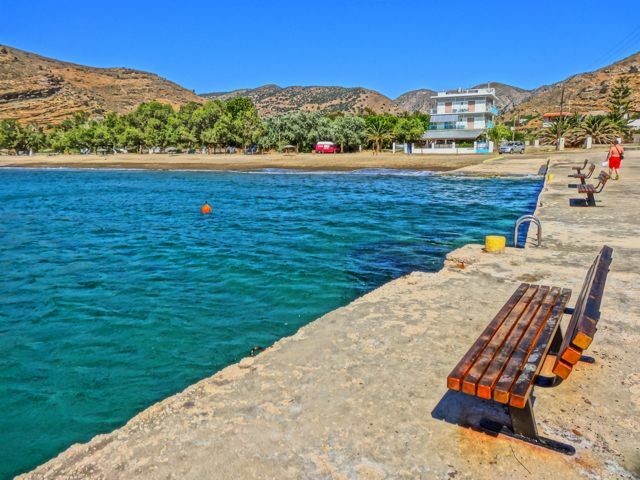 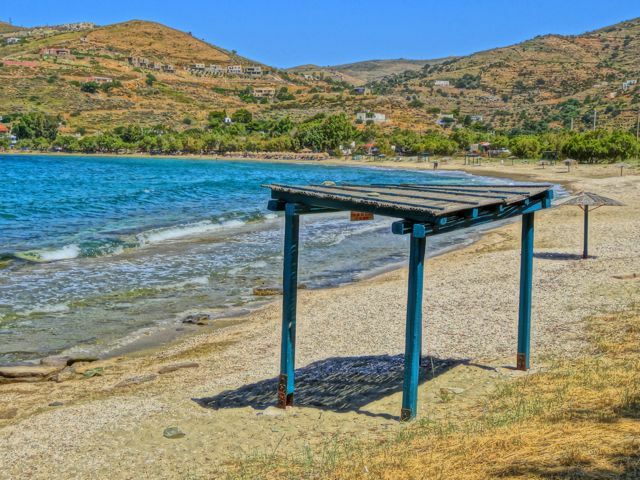 You can reach Agios Sostis beach mainly by car or bike, the taxi costs around 13 to 15 euros. 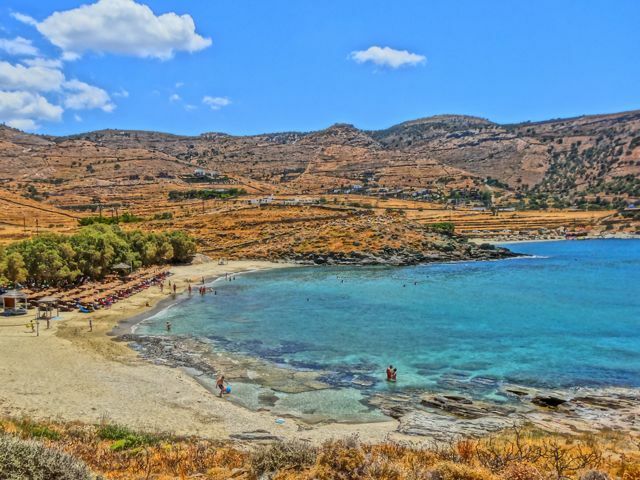 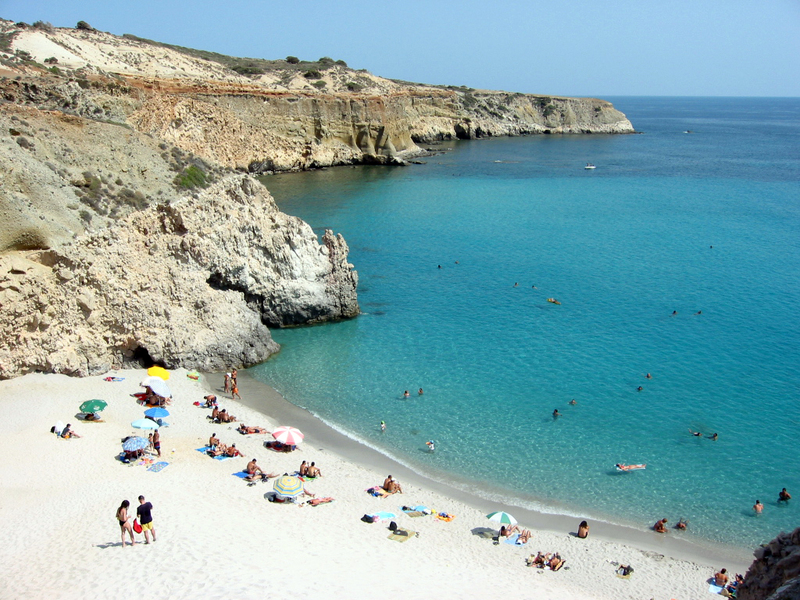 Unfortunately, there is no bus that can drop you off to this beautiful beach therefore it’s not crowded and it’s really worth visiting it as it is a truly natural and unspoiled “virgin” beach.